Few indie titles ever feel like they should be considered as being on par with most retail games, with Shovel Knight being a rare exception. Canvaleon, however is such a game! The game features top-notch Gamepad functions that allow you to draw your own camouflages to hide from enemies! 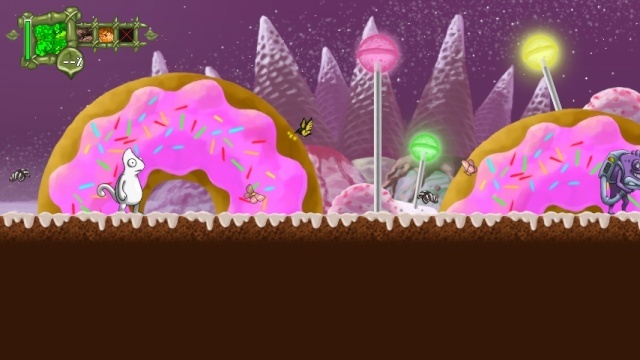 In this game you must use your wits to survive hordes of eagle-eyed enemies to beat each stage! If you get spotted your chances of surviving diminish as many more enemies will spawn ahead of your location. Speaking of enemies a handful can be defeated early in the game, while most either can't be defeated or can only be defeated after gaining new powers from some of the game's bosses! 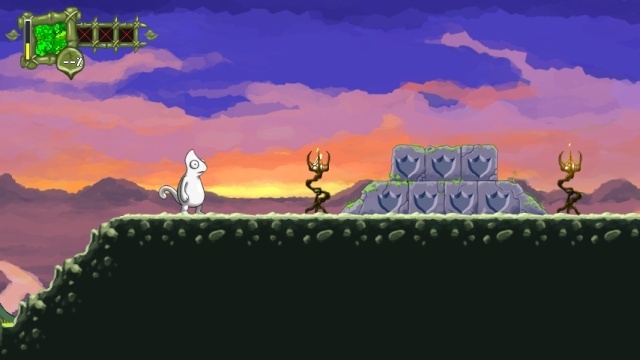 The game features over 30 stages that are vastly different from one another and have various themes such as urban, grasslands, forest, tundra, desert, ocean, volcanoes, cliffside, snackland, and more as well as unique bosses that will test your chameleonite abilities! The bosses are incredibly difficult to defeat, but the rewards are great as they will prove to be an important asset in clearing the game! Canvaleon's controls are pretty straightforward and easy to learn, but certain aspects take more than reflexes as drawing skills are a must for creating super-effective camouflages. You can buy camouflages as well, but there aren't too many of them and they aren't all that effective, except in certain circumstances. 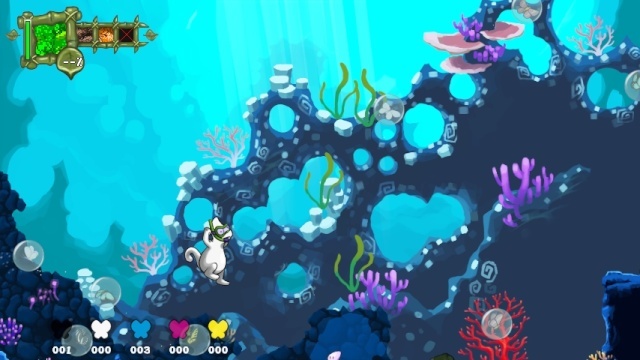 Visually Canvaleon is gorgeous with amazing 2D-HD visuals that have a real "shine" to them. The character and enemy models are unique and look great as well! The music is varied and virtually all of the tracks fit the stages really well! All-in-all the game is absolutely flawless in-terms of its audio-visual presentation! With incredibly fun gameplay, excellent use of the Wii U Gamepad, and flawless controls you will be hooked the moment you start playing Canvaleon, while the superb visuals and amazing soundtrack will have you coming back for more! Canvaleon sets the standard for what stealth platformers should be and is one of the very best indie platformers currently available on the Wii U eShop! We can't recommend this game enough! Great review! I just might get this game because of your review @Rukiafan. This game sounds amazing and I'm surprised that Nintendo hasn't been marketing this game like they did with Shovel Knight. A perfect score!? Wow this sounds a lot better then I had expected. Thanks for the feedback everyone! I just fixed a couple typos, enjoy! Retro throwbacks are excellent especially high quality ones like this game apparently is! This will be a part of my Wii U library very soon. This game shall strike fear in the souls of man, as no man can be certain whether or not an invisible lizard will attack from the shadows. No way am I going to miss out on this title! This is now at the top of my wishlist.